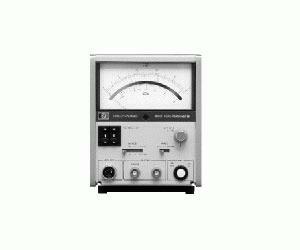 The Agilent 8900C power meter directly displays the peak power of RF pulses over a 100 MHz to 18 GHz frequency range. Measurements can be made on pulses with widths from 1 µs (100 ns in compare mode) to CW, and repetition rates from 100 Hz (0 Hz in compare mode) to 100 kHz. The 8900C is an economical analog meter calibrated in watts and dBm. The analog display with its large, easy-to-read scale makes it simple to peak or null pulsed power systems. .